Smithridge Healthcare Ltd was established with the aim of becoming the healthcare staffing provider of choice to its clients and service users. The needs of our clients and service user groups are diverse, ranging from individuals requiring one to one care, Acute NHS hospitals and rehabilitation centre’s to public and Private sector Nursing and Care homes. Our service is based on working with our clients to provide quality staff who meet their needs, whether those needs be for one off cover, longer term block bookings or for innovative national projects, we will help you find the most cost effective healthcare solution. 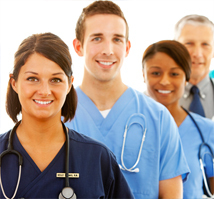 Smithridge Healthcare prides itself on the quality of the staff it provides to clients throughout the UK. Completion of application pack to include; Application form, Nurse / Healthcare worker skills check list, Equality and Diversity form. Professional references before commencement at work and annual references thereafter. Whether your requirement is for a one off booking to cover sickness, holidays etc or more longer terms national projects, Smithridge Healthcare has the ability to meet your requirements. Smithridge Healthcare takes the headache out of the recruitment process. Pre-screening, short-listing, arranging interviews and completing all the necessary administration required, we pride ourselves on delivering a total recruitment package. We place Nursing staff, Allied Health Professionals, Care / Nursing Home Managers, Peripatetic Managers, Area and Regional Managers into the UK's largest care providers. No Vacancy is too small and no recruitment drive is too big. We cater for everything from filling a single vacancy to recruiting a whole team. Our highly trained consultants understand that every client has differing needs, meaning no 2 jobs are the same. We create a bespoke recruitment plan and extensively advertise each position through both our own interactive website and industry specific job boards. 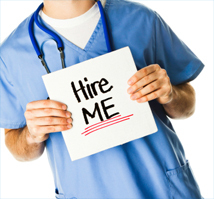 Smithridge Healthcare has developed its own comprehensive database of candidates. Our bespoke matching software enables us to extensively search through thousands of candidate details and effectively match candidates to jobs based on our client's specific needs.